"How well am I protected? 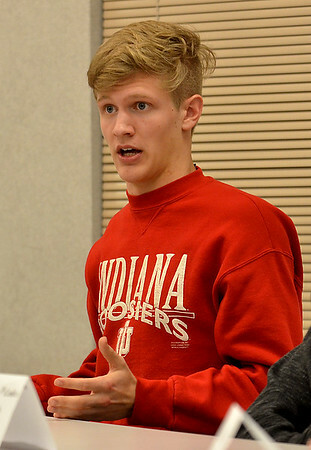 ": The shooting in Parkland, Fla., prompted Terre Haute North student Chris Clapp to think about his safety if something like that were to happen at the school. Here, Clapp shares his views during a panel discussion on Wednesday at the Tribune-Star.